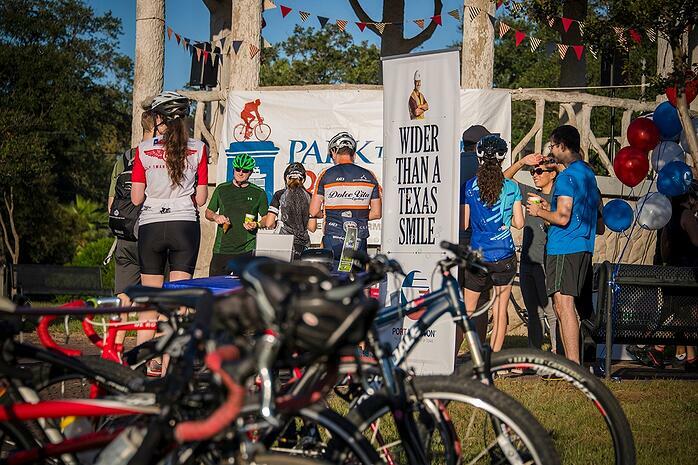 Port Houston teamed up with the Hermann Park Conservancy to host more than 670 riders and 100 volunteers at the fifth annual "Park to Port" Bike Ride, which was held Oct. 6. The 20-mile round trip guides riders from Hermann Park’s Bayou Parkland east along the Brays Bayou Greenway trail to Hidalgo Park near the Port of Houston. Port Houston has partnered with Hermann Park Conservancy since the event’s inception in 2014, sponsoring the turn-around ‘celebrations’ each year, providing food, drinks and music. Port Houston volunteers welcomed riders and cheered them on as they began the return leg of the ride. Proceeds from the ride benefit the Hermann Park Conservatory, a nonprofit organization that is responsible for maintaining and improving the park system. The event brings together cyclists of all ages and skill levels for a day of celebrating the bayou trails, connectivity and the community.